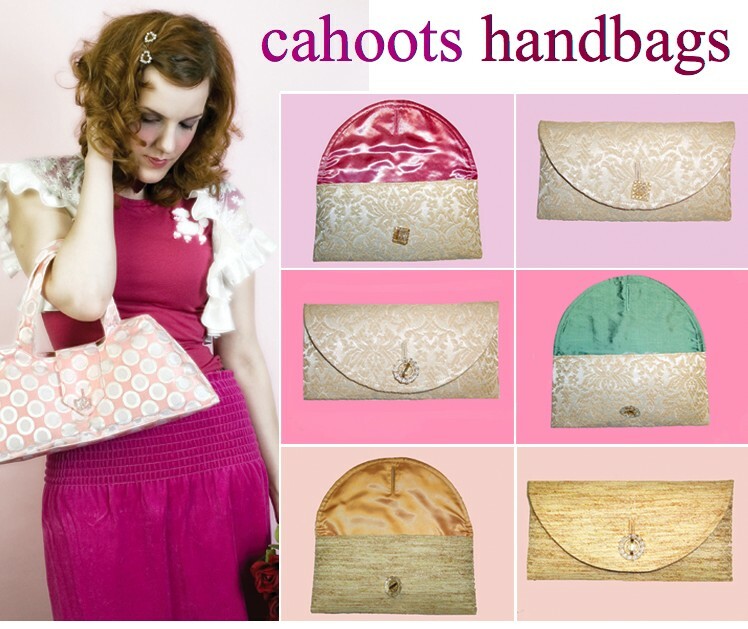 Hold on tight to these custom designed clutches of the Bridal Collection by Cahoots Handbags in Gainesville. Fabulous handbags made of vintage upholstery fabrics and alternative vintage textiles. The “Elope” clutch is an off white and cream brocade drapery lined in purplish pink satin, or our favorite, “Wedding Bliss” a similar exterior, but with sage green lining! And since these bags are of limited sorts…they are THE accessories to have… and to hold!